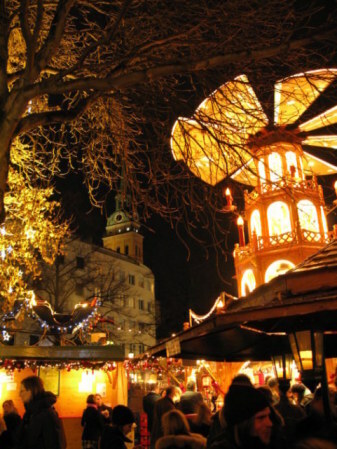 After being there just as the Munich Christmas Market was being set up, I was eager to return to see the Munich Night Christmas Market. 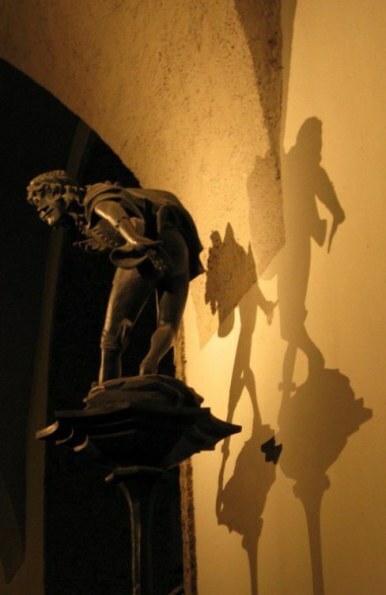 Passing through the arches on the way to the Marienplatz after a 5 hour drive, l felt as if I was stealing back into town, just like this wonderful statue above me. 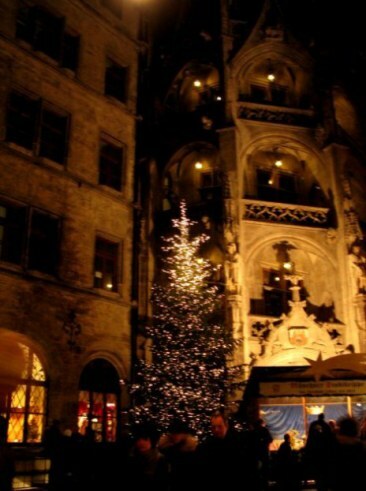 There was no need to creep, or to watch behind – for the streets were a mass of people as I entered the Marienplatz, and one more presence would scarcely be noticed in the crowds drawn to the Munich Night Christmas Market. There was pottery - both utilitarian and decorative. There were cheerful crafters and sellers of cushion covers. 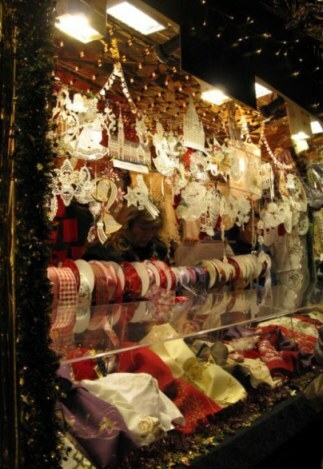 It wouldn't be Christmas in Bavaria without ribbons and lace. 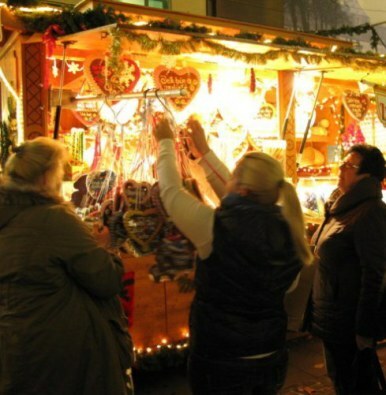 Each CHristmas market in Germany is magical and just as all others, the Munich Night Christmas Market had its own variety of gingerbread hearts to be carefully chosen. 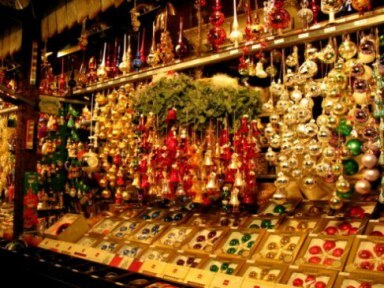 For those sick of plastic, there are real glass baubles and bells. 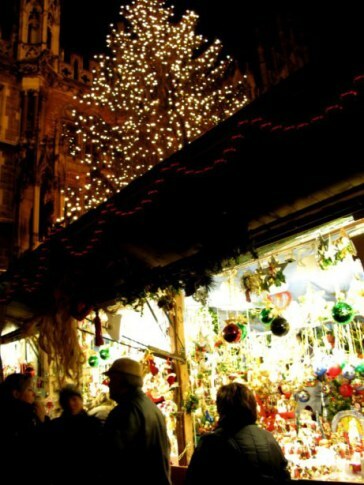 Along with the rest of the crowd at the Munich Night Christmas Market I found myself swept along in a spirit of festivity as I browsed. 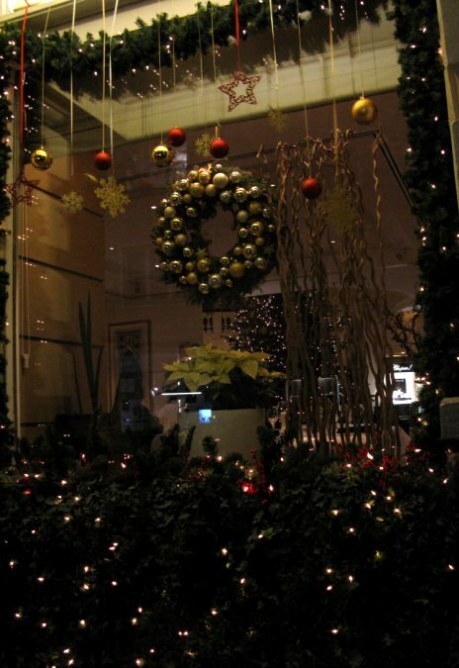 Passing behind the great doors on the Marienplatz that I had seen in the daytime, in a small courtyard within the New Town Hall I spotted the location of the Munich Nativity Crib scene, and headed towards it. 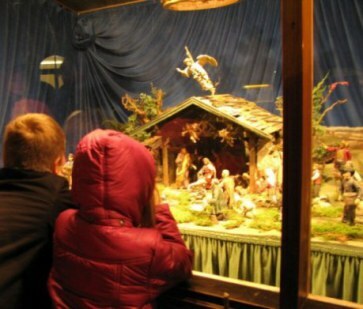 The viewing places were all taken by small people who jostled for their moment before the window to stare in delight at the manger scene. 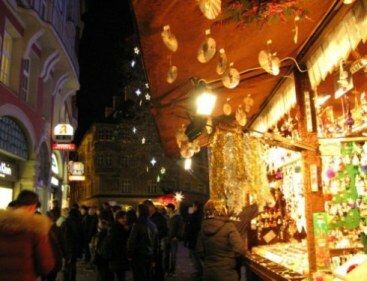 I felt that their visit to the Munich Night Christmas Market would be one as memorable as mine. 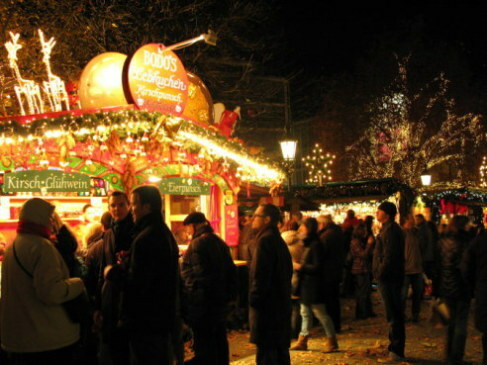 As always at any German Christmas Market, also at the Munich Night Christmas Market there is lots of delicious food. 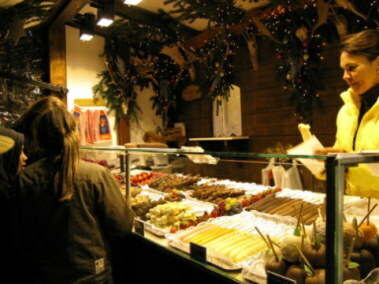 This stall with its kebab-like sweet dainties was tempting for many. 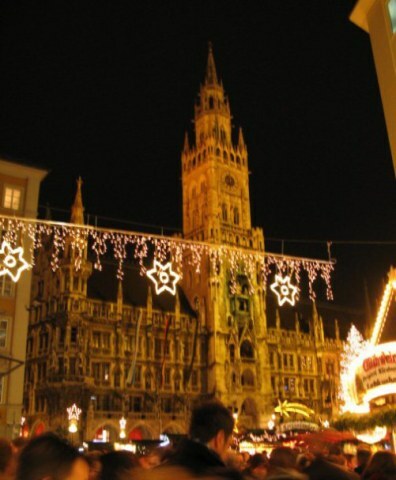 As I wandered I looked back at the New Town Hall of the Marienplatz above the sea of heads. 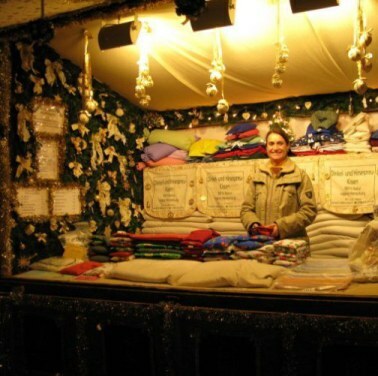 People ask me which of the german CHristmas Markets is my favourite. 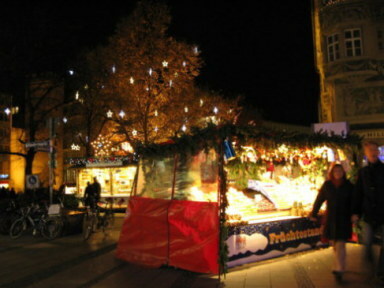 My recommendation is to take a sampling - and the Munich Night Christmas Market should be on the list. 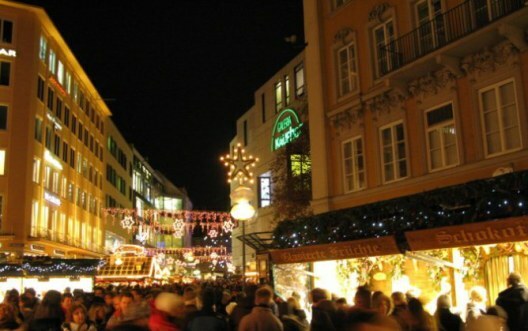 The festively decked streets lure you onwards beyond the Marienplatz. 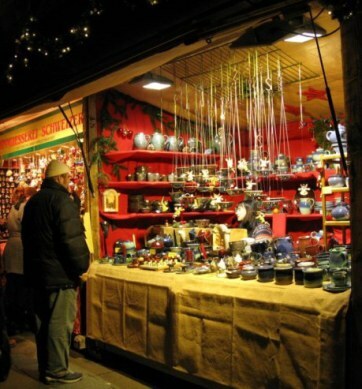 Here there are both more stalls and tempting shops along the way, for the Munich Night Christmas Market is both within the shops and without. 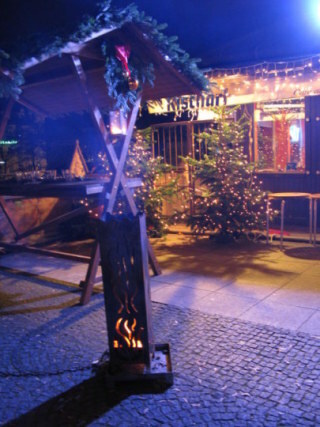 In a small side street away from the crowds, a restaurant terrace with its burning fire cast a blue haze of smoke over the setting. 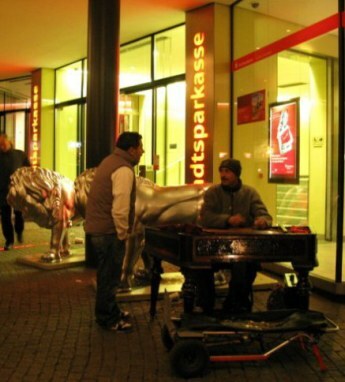 Suddenly I found myself in the little plaza on the Rindermarkt, or Cattle Market, which was at one time on the city limits. 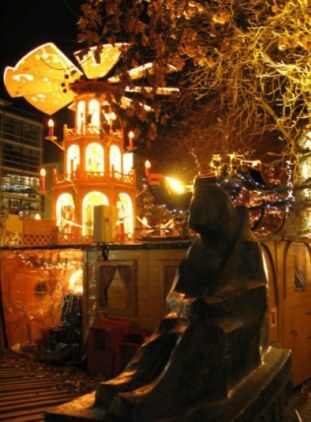 Here, Santa's sleigh had sat rather sadly surrounded by autumn leaves on my last daytime visit but now the place was alive with lights, movement and colour. Here there was a different crowd. 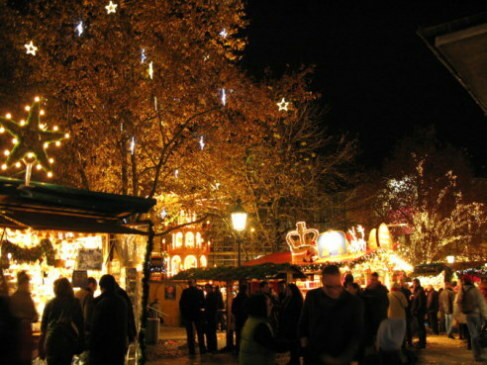 The Munich Night Christmas Market is a great place for locals to enjoy a drink of Glühwein together. 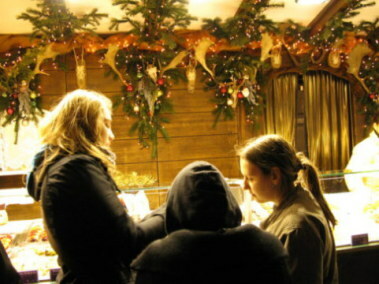 Others were sampling different Glühwein varieties from the stand under the Munich Christmas Market Pyramid. The scene with santa's sleigh that was once so forlorn and still had now become animated by laughter and friendship. The Rindermarkt fountain with its bulls and shepherd had been covered for winter. 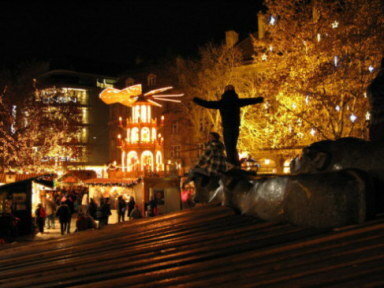 This gave young visitors a chance to 'ride the bulls' - and one to stand in a Titanic pose against the Munich Christmas Market lights. 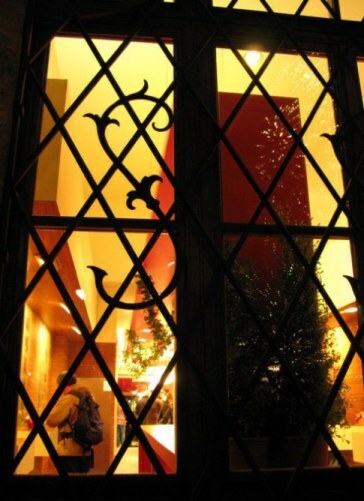 In the crisp night I almost passed by the fabulous gold decorated Asam church without realising that there was a church service taking place. 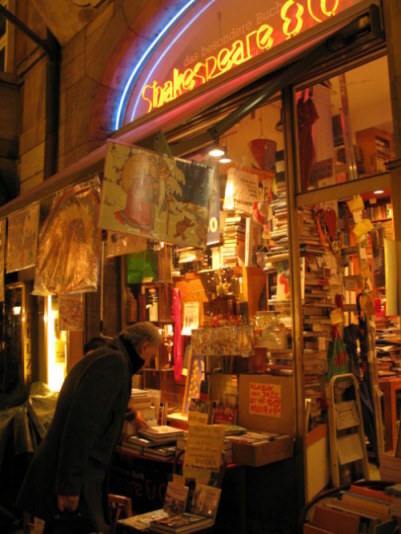 I did manage to sneak a quick photo from the door just before it closed, but the sheer splendour of the setting made me gasp. 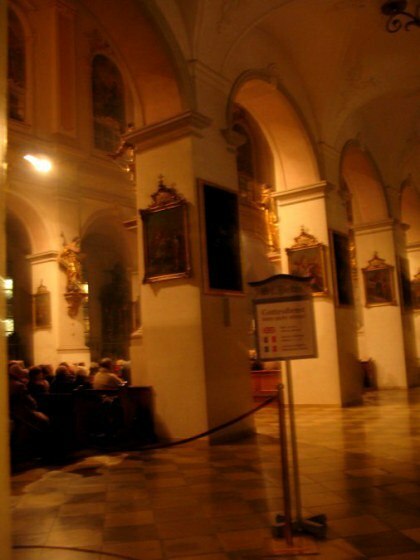 With incense hanging in the air and and pews filled with worshippers, it was a true sight of Christmas. En route back to the car, I paused to listen to this stunning musician on what appeared to be a harpsicord, but was struck by hammers that flew across the strings. 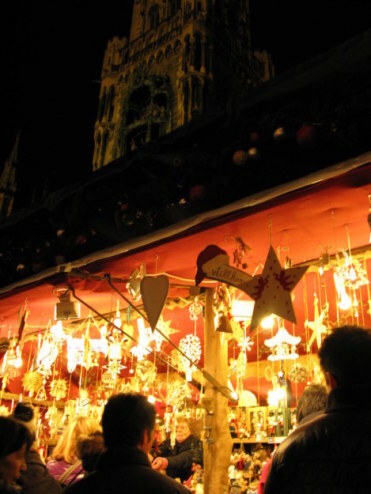 He had positioned himself as an introductory chorus to the Munich Christmas Market - and for me a parting one that was quite wonderful. Thankfully I had remembered the route back to the car and recognised familiar sights in a nearby hotel that I had noted as way markers on the way into town. 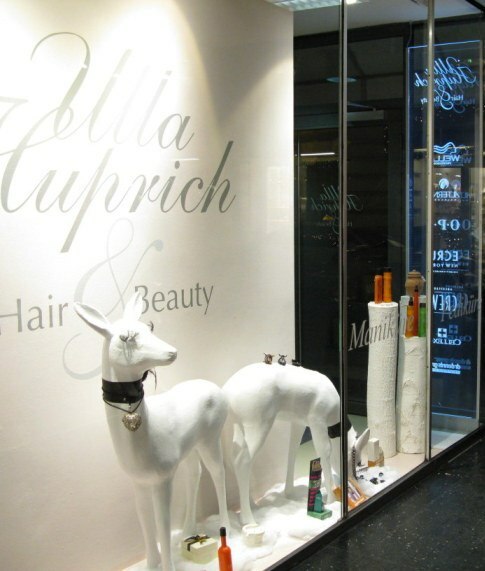 I always fear when in a strange city that I will not remember my way back to where I have parked - and so had taken particular note of a few landmarks, knowing that when I saw the deer with the false eyelashes, I was at my parking garage. 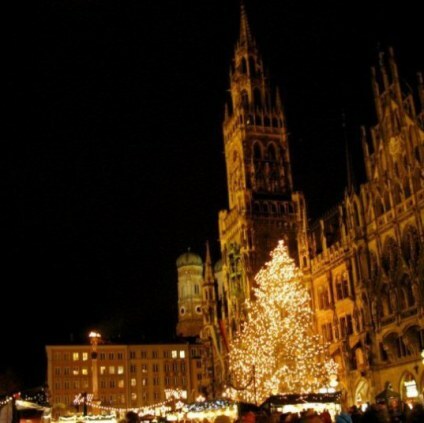 The Munich Christmas Market seems to me to have effectively combined both.